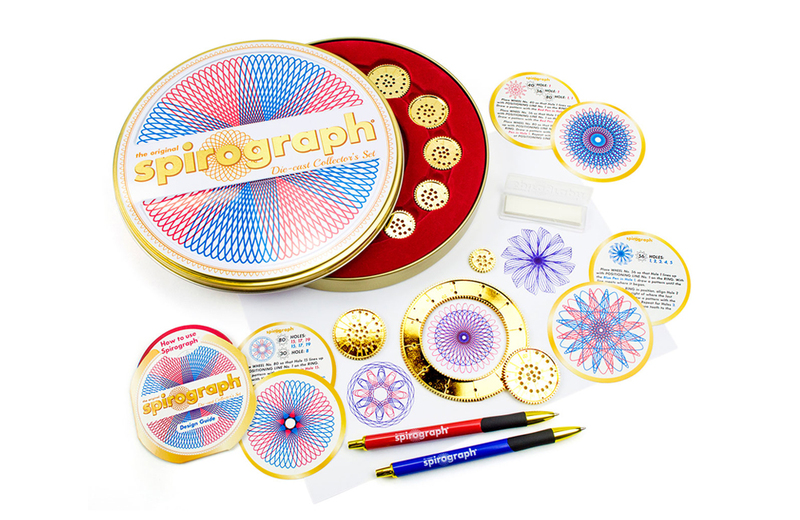 Spirography gets a luxury upgrade with the Spirograph Die-Cast Collector’s Set from Kahootz Toys. Released to coincide with the educational toy’s 50th anniversary, the set features the iconic drawing wheels fabricated in die-cast gold-colored metal. The set includes nine Spirograph wheels, one Spirograph ring, two retractable ball point pens, a design guide, and six design cards to ignite creativity. And, you won’t have to make holes in the creative canvas as was the case in yesteryear. Spiro-Putty (0.14 oz. is also included) is now used in place of pins to hold the Spirograph pieces securely in place on the paper. The set is attractively packaged in a collectible display tin. The Spirograph Die-Cast Collector’s Set is available from a variety of online retailers for $39.99 USD. X-Cube from Moving Parts LLC. With over 13 quintillion times more permutations than the original 3x3x3 Rubik’s Cube, the 3x3x5 X-Cube from Moving Parts LLC presents a whole new challenge to fans of twisting logic puzzles. LEGO will be 60 years old in 2018. To commemorate its anniversary, the company is releasing the 60 Years of the LEGO Brick set (#40290).